“Statement by Pentagon Press Secretary Peter Cook on Strike against Al-Qaeda Leader,” U.S. Department of Defense, October 3, 2016, http://www.defense.gov/News/News-Releases/News-Release-View/Article/962767/statement-by-pentagon-press-secretary-peter-cook-on-strike-against-al-qaeda-lea. Masri’s jihadist roots trace back to the early 1980s. He was reportedly arrested by Egyptian authorities as a member of the Egyptian Islamic Jihad (EIJ) following the 1981 assassination of Egyptian President Anwar Sadat.Thomas Joscelyn, “Veteran Egyptian jihadist now an al Qaeda leader in Syria,” Long War Journal, March 21, 2016, http://www.longwarjournal.org/archives/2016/03/veteran-egyptian-jihadist-now-an-al-qaeda-leader-in-syria.php. Masri reportedly spent seven years in Egyptian prison and was released during the late 1980s. In 1989, he traveled with other EIJ members to Afghanistan, and then to Yemen in the early 1990s. In the mid-1990s, he traveled Sudan, a known al-Qaeda training ground.Thomas Joscelyn, “Veteran Egyptian jihadist now an al Qaeda leader in Syria,” Long War Journal, March 21, 2016, http://www.longwarjournal.org/archives/2016/03/veteran-egyptian-jihadist-now-an-al-qaeda-leader-in-syria.php. Andrew Higgins and Alan Cullison, “Saga of Dr. Zawahri Sheds Light On the Roots of al Qaeda Terror,” Wall Street Journal, July 2, 2002, http://www.wsj.com/articles/SB1025558570331929960. Masri was reportedly arrested nearly two years later in July 1998 in Azerbaijan. He was allegedly kidnapped and detained by CIA operatives outside of a restaurant in the capital of Baku. The operatives reportedly copied the files on his computer, which contained sensitive organizational information on al-Qaeda and a list of EIJ members in Europe.Thomas Joscelyn, “Veteran Egyptian jihadist now an al Qaeda leader in Syria,” Long War Journal, March 21, 2016, http://www.longwarjournal.org/archives/2016/03/veteran-egyptian-jihadist-now-an-al-qaeda-leader-in-syria.php. He was subsequently extradited to Egypt to stand trial on terrorism charges.Thomas Joscelyn, “Veteran Egyptian jihadist now an al Qaeda leader in Syria,” Long War Journal, March 21, 2016, http://www.longwarjournal.org/archives/2016/03/veteran-egyptian-jihadist-now-an-al-qaeda-leader-in-syria.php. During Masri’s 1999 trial, Egyptian authorities discovered that Masri had led EIJ’s civilian organization committee. In this role, Masri reportedly managed the group’s international fighters and identified militants capable of carrying out attacks across the globe.Thomas Joscelyn, “Veteran Egyptian jihadist now an al Qaeda leader in Syria,” Long War Journal, March 21, 2016, http://www.longwarjournal.org/archives/2016/03/veteran-egyptian-jihadist-now-an-al-qaeda-leader-in-syria.php. Masri was handed a 15 year prison sentence, but was released during the Egyptian revolution which overthrew President Hosani Mubarak in 2011.Thomas Joscelyn, “Veteran Egyptian jihadist now an al Qaeda leader in Syria,” Long War Journal, March 21, 2016, http://www.longwarjournal.org/archives/2016/03/veteran-egyptian-jihadist-now-an-al-qaeda-leader-in-syria.php. Following his release, Masri reportedly joined and helped lead Ansar al-Sharia Egypt, an Islamist group which is believed to proselytize and recruit for al-Qaeda.Thomas Joscelyn, “Veteran Egyptian jihadist now an al Qaeda leader in Syria,” Long War Journal, March 21, 2016, http://www.longwarjournal.org/archives/2016/03/veteran-egyptian-jihadist-now-an-al-qaeda-leader-in-syria.php. Bassem Mroue, “AP EXPLAINS: Why Syria’s al-Qaida may be considering a split,” Associated Press, July 27, 2016, http://bigstory.ap.org/article/d10d759d35824b70b47501d85f0ff8c3/ap-explains-why-syrias-al-qaida-may-be-considering-split. In the video announcing the split, Masri sat beside Abu Muhammad al-Golani, the Nusra Front’s leader.“Airstrike kills al-Qaida-linked commander in Syria,” Associated Press, October 3, 2016, http://bigstory.ap.org/article/9674f84ffc2d4dc68bb071895b47dbd5/airstrike-kills-al-qaida-linked-commander-syria. “Airstrike kills al Qaeda-linked commander in Syria, group says,” CBS News, October 3, 2016, http://www.cbsnews.com/news/airstrike-kills-al-qaeda-linked-commander-in-syria-group-says/. 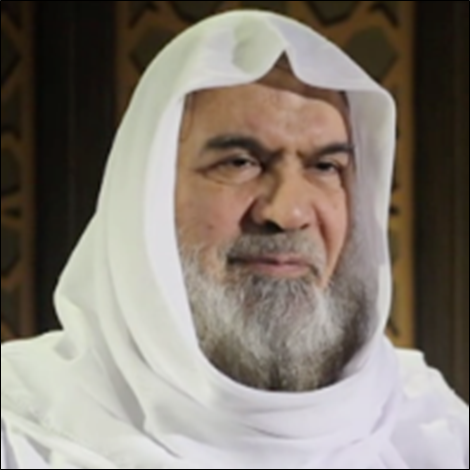 Ahmad Salama MabrukThomas Joscelyn, “Veteran Egyptian jihadist now an al Qaeda leader in Syria,” Long War Journal, March 21, 2016, http://www.longwarjournal.org/archives/2016/03/veteran-egyptian-jihadist-now-an-al-qaeda-leader-in-syria.php. Ahmed Salama Mabrouk“Airstrike kills al-Qaida-linked commander in Syria,” Associated Press, October 3, 2016, http://bigstory.ap.org/article/9674f84ffc2d4dc68bb071895b47dbd5/airstrike-kills-al-qaida-linked-commander-syria. Abu al Faraj al Masri, a.k.a. Ahmad Salama Mabruk, was an Egyptian national and senior leader of the Nusra Front (Jabhat Fateh al-Sham) in Syria.